We’re thankful for a fantastic group of Immersion Host Businesses to start off our 2019 manufacturing immersions! Host businesses included Peerless Chain, BCS Automotive Interface Solutions, Fastenal, and Miller Ingenuity. Our first ever HHS immersion experience was a hit thanks to Saint Anne of Winona! Students had an interactive day and are excited for more next month. 2018-19 REACH group (Manufacturing Seniors, Manufacturing Juniors and Health/Human Service Juniors) – Opening Day. April was no exception to the rule! Another wonderful experience had by all. Thank you to our wonderful REACH host businesses! As you can see, our March Immersion was amazing! Check out some of the amazing opportunities provided to our REACH students! Way to go March host businesses, you are so fantastic! We’re thankful for another great group of Immersion Host Businesses: Benchmark Electronics, Fastenal Company, WS Packaging, Knitcraft corporation, ZF-TRW and Thern . Check out some of the great experiences our students had onsite! Thank you to our January REACH Host Businesses: Winona Sign and Design, Miller Ingenuity, Peerless Industrial Group, Watlow, and CPI. Students were able to experience a variety of hands on activities and made great contacts at local manufacturers. The Winona REACH program celebrated a major gift at Winona Senior High School. 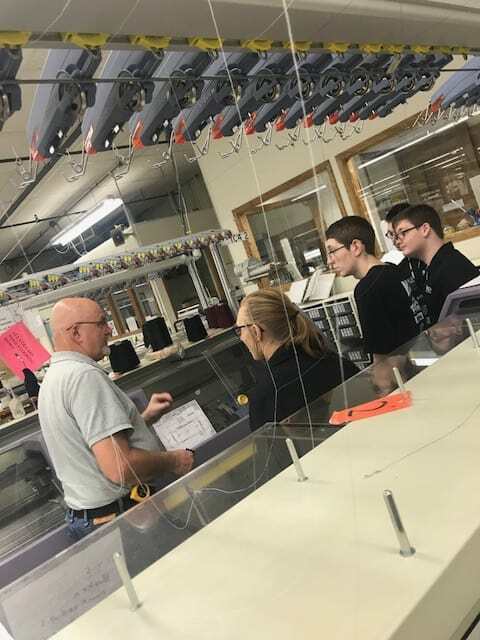 REACH, a program of the Winona Area Chamber of Commerce Business Education Network, showed off new CNC equipment recently installed at the high school. Donated by Fastenal in partnership with Stone Machinery and Walter Tools, the $40,000 equipment donation will now provide REACH students with improved hands-on learning experiences. The Chamber’s Business/Education Network offers programming to develop our community’s future workforce by connecting area business and educational institutions. Projects include the Career Exploration Expo for High School students, CEO in the Classroom presentations for 8th graders, Life After High School for 11th grade, REACH pilot project, HOT Jobs Cool Companies toolkit and a Teacher in the Workplace initiative.